Join The Galloway Harriers today! There are many great reasons for joining The Galloway Harriers - here are just a few! 1. We at the Galloway Harriers are a friendly bunch. 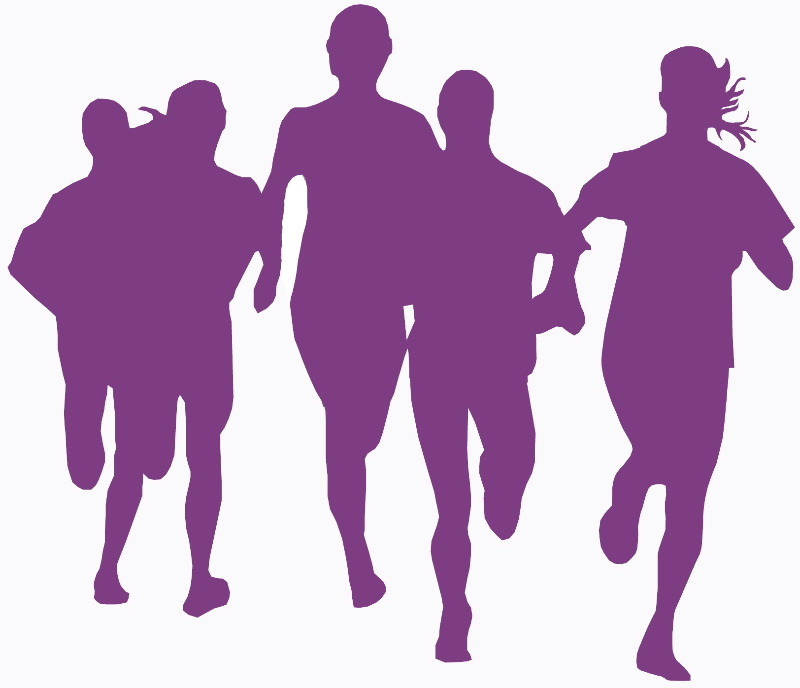 Joining us means that if you are running to get (and keep) fit, starting out will be easier with our encouragement and the tips and advice we can give. You’ll also meet like-minded folk. 2. Skint? Being a Galloway Harriers member is not expensive and running is essentially free - no gym fees, no minimum contracts, just lace up your trainers and off you go! 3. Anyone of reasonable health can run. We’ll give you all the encouragement you need to allow you to build up your pace gradually. Within a short time, you’ll be able to run for half an hour! After that, it’s up to you how far you want to go! 4. We’re all busy people, but a short run can be easily fitted into most days. We have training nights in Newton Stewart every Tuesday for that extra encouragement and great tips and advice. Click here for details. 5. As your runs get longer, you’ll start discovering your area like never before. Unlike travelling in cars, pedestrians can, within reason, go anywhere, stopping when they want and exploring new routes. 6. Running unplugs you from all the distractions in life (provided you leave the mobile at home) and focuses the mind. 7. No matter how fancy a gym might be, it’s still a big room full of other sweaty people watching TV screens. You can’t beat the great outdoors, especially here in Galloway! Contact us today by filling in the short online form on the right and we will contact you shortly. Alternatively, come along to one of our training evenings. Click here for details. © Copyright. The Galloway Harriers Amateur Athletic Club. Email us!